I bet you could update your resort’s blog twice as often without writing a single post. Let me preface that headline claim with the disclaimer that you’d have to have (somewhat) regularly updated your blog in the past. Here’s the thing. All of this content shares three characteristics. First, it’s genuinely good content that was well written and thought out. For the most part, it’s just as relevant now as the day it was originally published. But for all these posts’ quality and timeless topics, they are buried under all the new stuff. If that concept sounds familiar, it should. I’ve written over 1,300 hundred posts on SlopeFillers but even on a good day a new visitor will only read 3-5 of those. Resurfacing that content and getting more value out of it (rather than always trying to create new angles on the same thing) is a riddle I’ve been trying to solve for a while now. 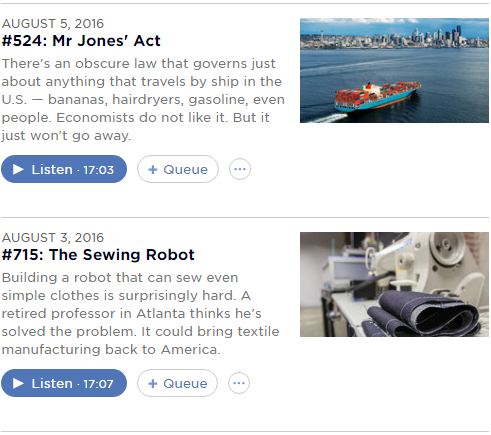 One of the things that I noticed and studied along the way is NPR’s Planet Money podcast. Notice something strange? On August 3, 2016 they published episode #715. But on August 5, 2016, they published post #524? Like me and you faithful resort bloggers out there, NPR had a ton of great, evergreen, BURIED content in their archives. So, they repost it at the top of their feed, and keep a steady supply of content great content flowing with less time spent creating. Knowing me, you’re probably not surprised that I tried something similar with one twist: I didn’t make it clear when something was being pulled back up from the past. 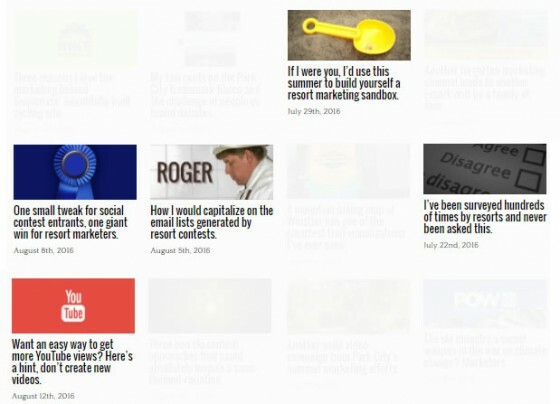 Take a look at this list of recent posts and see if you can tell me which ones are new and which was are old. 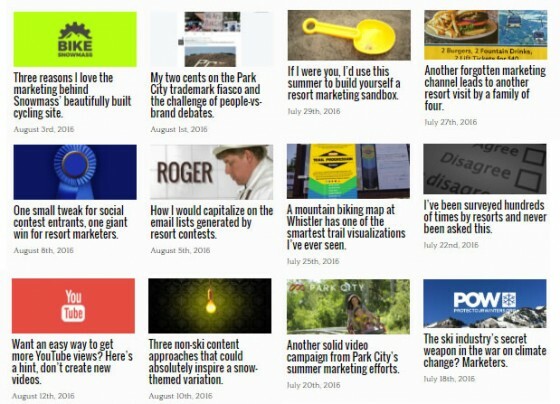 Unless you are a really, really savvy reader (or exceptionally good guesser), you probably wouldn’t have known that five of these recent posts were old pieces I had resurfaced. I left a few hints in each post (like comments that, in some cases, were a couple years old) but even faithful readers didn’t notice or, to be honest, care. It was useful to them, so what difference did the original date make to them? We are all exposed to so much content, it’s extremely easy to forget what we’ve read no matter how useful it was the moment we read it. The idea here is not to pull the wool over your reader’s eyes. This was an experiment, but not necessarily a long-term (or smart) strategy. What I’m simply trying to illustrate is that you have a ton of great content buried in your blog (and social feeds and YouTube channel and…). It’s still relevant, it still has value, and the only person who knows or cares what’s new and what’s old is you. There is absolutely a need for current content, but it doesn’t all have to be. Mix in the old stuff with your normal efforts and see what happens.